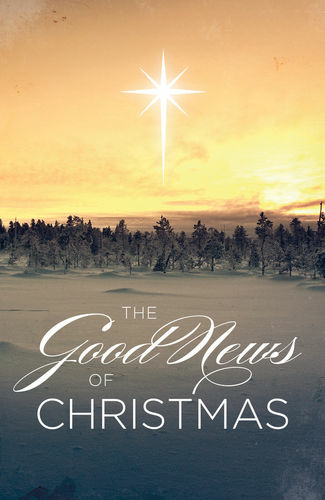 Bestselling inspirational author and speaker Max Lucado explains that the good news of Christmas is found in understanding God's gift to mankind of sending Jesus Christ to earth. The birth of Jesus is not the way we would have planned it. No person, however poor, should have to be born in a stable. No delivery room, no doctor. Hay on the floor, animals all around. And the smell! The mess! This is no place for a royal birth. But God sees things differently. He chose a manger over a mansion. He picked a carpenter over a king. He designed a quiet coming over a worldwide celebration. Why would God the Creator of heaven and earth, send his Son to be born in such a lowly place? Perhaps Jesus, the only Son of God, was born in a stable to give hope to all whose lives look like one. We sure do make a mess of things. Sometimes our actions stink. And though we try to make the best of it, the winter wind still sneaks into the corners of our lives, and the nights get cold and dark. Too many days too far from God? Too many years too hard on others? Too much mess? God knows�and he has some amazing words for you. I sent the Savior, Christ the Lord! Want to know God's answer to deepest longings of your life? "For God loved the world, that he gave his only Son, that whoever believes in him should not perish but have eternal live" (John 3:16). Here we find the answer, in the most unexpected place. Look long at heaven's barn-born baby—he's the Holy One sleeping in the hay—and listen as God whispers: No mess turns me back, no smell turns me away. I was born to live in lives like yours. He knows exactly what you're like. And still he loves you. He simply awaits your invitation to come in. One word from you and God will do again what he did back then. He'll place his Son in the stable of your heart. He'll give you the gift of eternal life. Good News! Great joy! Eternal life! Would you like to receive this gift this Christmas? Will you tell God you do? "Father, I believe you love me. You gave your one and only Son for me �born in a manger, dying on the cross to pay for my sins, rising again to save me. I accept your gift to live with you forever with you. Apart from you, I die. With you, I live. I choose life. I choose you." Include a tract when mailing greeting cards and bills. Encourage your church to include tracts in weekly bulletins. When leaving a tract with a tip, be sure that the tip is generous, as a reflection of God's generous gift of salvation to us! 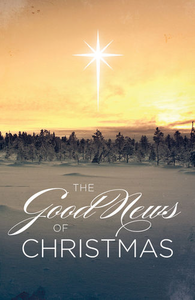 Keep tracts in your wallet, purse or car glove compartment to ensure you're always prepared to share the good news!